Vasa and Ypres started as a challenge. A challenge to write a novel. 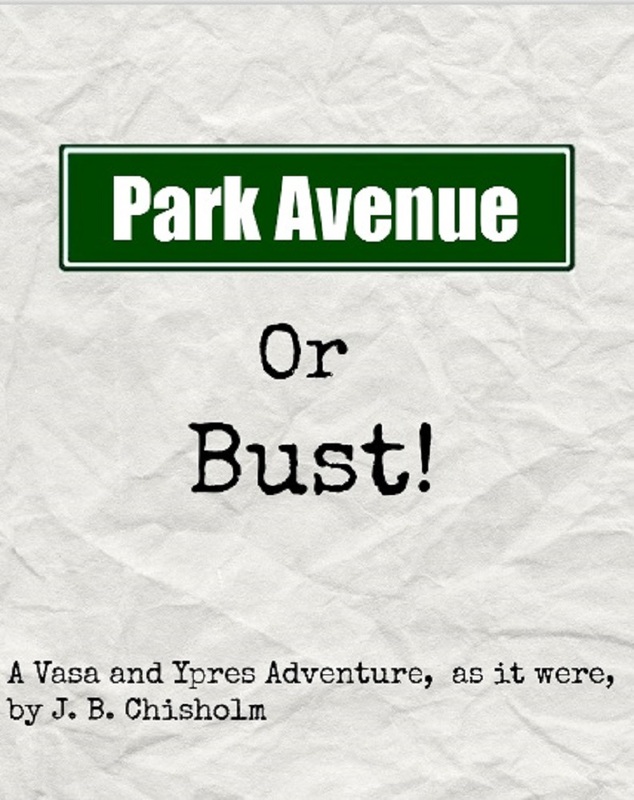 A challenge to publish a fictional serial on a blog before it became an ebook, and then a paperback book. Most of all, it was a challenge to make a world of British humour come alive. For that, I found inspiration in the comic genius of P.G. Wodehouse. The basis was simple. Jeeves and Wooster would become Vasa and Ypres. Chaps would become girls. Aunts would become uncles. The 20th century would make way to the 21rst. The rest, made up as I went along, became Vasa and Ypres: A Mayfair Conundrum. Vasa and Ypres’s is a world where all complexities and worries are pushed aside. The major problems of our time do not appear. As the forever stylish Vanessa E. Vasa says in the final chapter of A Mayfair Conundrum, “I don’t deal with world hunger do I? I deal with conundrums. Preferably Mayfair conundrums.” This fictional world is a form of escapism. Vasa and Ypres is a work of fiction. It is satire, and, hopefully, it is fun. Follow Vasa and Ypres as they engage in new and excitingly British adventures from Mayfair to Manhattan. Chapters are published on Sundays. If you are interested in publishing part of the Vasa and Ypres series electronically or in print, please use the contact information above. The Vasa and Ypres series is actively looking for a print publisher and literary agent. Please note that all rights are reserved. Thank you for the like on one of my reviews. I’m looking into this blog now, and I’m a big fan of British comedy. Thanks for the ‘like’ on my post. This looks like something worth exploring. This is very fun and thanks for the like on Miss McGarr’s 1990 Diary, come and visit again and I’ll be sure to follow you! Great site! I”m checking it out now… Will follow. Thanks for finding me! I love comedy! Especially British! Just found ou because you liked my post Almost Perfect. I’m looking forward to reading more of your adventures. Thank you for stopping by my blog, your project sounds so interesting! I look forward to reading. Thanks for popping by my blog. I wish you lots of luck with your book. It certainly has an intriguing title. Bravo on procuring 1000 followers today! Thank you for popping by my blog and for liking my ‘give-away’ offer. I do random give-aways every now and then to people who follow my blogs or facebook page so perhaps you will be randomly picked at some stage. ‘This fictional world is a form of escapism.’ – So very true but the real world has a way of sneaking in to spoil it all the time so completing a novel is a huge challenge. Discipline and keeping your eye on the ending plays a huge part in getting there and then, when you do, there is an anti-climax and that feeling that you have lost something and it is then time to let that baby fly and start on your next one. Well done to you and I wish you every success. Jeeves and Wooster are my all time favorite. Changing the chaps to girls is brilliant. I am looking forward to reading the whole book. Very good Jeeves I mean Ypres! I love this idea of yours. Thanks for stopping by and following my blog. All the best to you and your endeavors. Thanks! I try to keep it as light and fun as possible. I hope you like viewing my blog. Thanks for liking my book review. I am interested in reading your short stories and to see where your tag team writing takes you. Thanks! I hope you enjoy my writing. Thank you for your interest in my recent post. I’m a new blogger, so every comment/like matters:))) Follow your blog now.